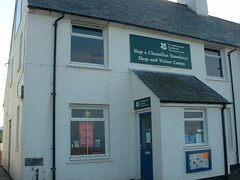 The Rhossili Visitor Centre is owned and run by The National Trust. It is ideally positioned within spectacular countryside with coastal views and lovely beaches; the clifftop walk has breathtaking views of Worms Head. 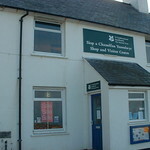 The Centre is situated on the tip of the Gower peninsula and houses a shop and an exhibition on the area. Venue available for hire. Locally, The National Trust is very active in the conservation of the natural and built environment on Gower, including the protection of important species. The National Trust is a charity and is completely independent of Government. It relies on membership fees, donations and legacies, and revenue raised from commercial operations. There are many volunteer opportunities to suit all tastes, so get involved! Volunteering comes with perks such as free admission and parking at all sites.